For those in cold climates, the approach of spring is always a welcome relief, but this is only if you don’t suffer from allergies. Dust can cause sneezing, runny eyes and wheeze which are enough to make one miss work the next day. In Greenville, South Carolina, dust and allergies are the top reasons why most workers miss the job, and this has significantly affected most offices operating in this region. 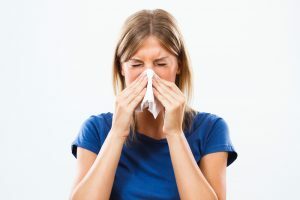 It is, therefore, imperative as an office owner in Greenville, South Carolina, to recognize that there are certain small things that you can do reduce the general exposure of dust and allergens at your Greenville office. This does not only concern those who work in offices but even those who work in pet-free buildings, they may also be exposed to dog and cat hair. Pet hair is mostly carried in clothing and then becomes part of the indoor environment. Those who suffer from allergies and pet owners should not be placed in the same working space. Your Greenville office should also have air removal rollers. Dust mites are one of the most common allergens in homes, and they are always passively carried from living places to offices. Eggs can be unknowingly carried to office environments on clothing. Upholstered furniture, carpets, and even cubicle walls may harbor dust mites. One of the best ways of reducing dust mites at your Greenville office is by requesting regular carpet cleaning and dusting of your workstation using a wet rag or microfiber cloth. You can also install a mini High-Efficiency Particulate Air (HEPA) cleaner to help you in cleaning the space around your Greenville’s office immediate work area. Pollen can get entry into the workplaces through ventilation, or opening and closing of windows. To avoid this, your office should have proper air filtration. You should purpose to change air filters and maintain air conditioning system and heating twice in a year. Most people who think they know what triggers their allergies are always wrong. Managing your allergies in an effective way means identifying what your triggers are. Certain people might be allergic to cat hair and have no problem working in a dusty building with poor air quality. Air fresheners and cleaning fluids release volatile organic compounds into the atmosphere. These dangerous fumes can cause shortness of breath and respiratory distress as a result of lung irritation. In your Greenville Office, you should avoid using plug-ins as well as aerosol air fresheners and start using cleaning products with no volatile organic compounds. Stuffed animals on desks should frequently be cleaned or avoided altogether.